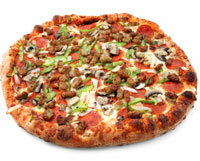 For Pizza of the Month Club we have partnered with our friends at The Gourmet Pizza Club . We chose them because of the quality and care they take in making their pizzas. Each month includes three different Chicago Style deep dish gourmet pizzas made in Chicago.